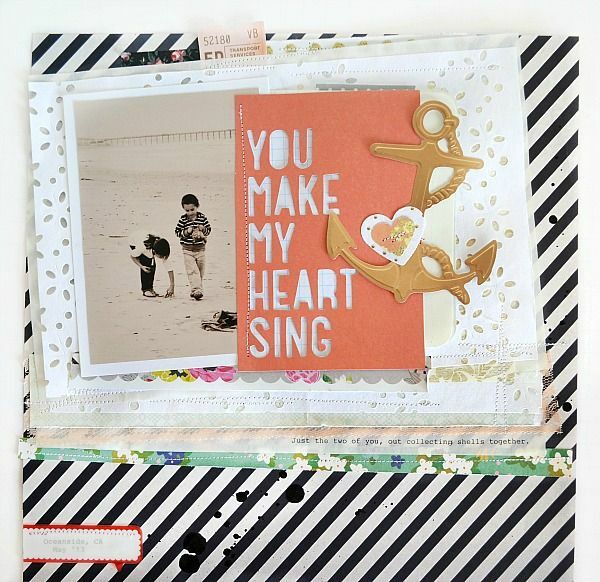 Thought I'd share some of my favourite scrapbook layouts and other inspiring pieces I've found this week! I Pin all of these to my Pinterest boards during the week, so follow me if you want a peek at other inspiring pieces like these! 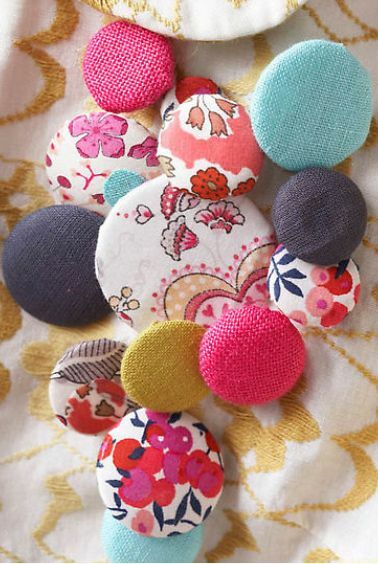 I love the colours of these fabric buttons, by Penny Wincer. The pattern combos are fantastic, too! I was a bit addicted to buttons this week, so I have lots more great button images on my button board. A collection of free iPhone wallpapers via LinesAcross. How awesome would #5 be as a patterned paper or handmade layout background? Or using the lettering style of #4 for a title? How beautiful is this layout by Sophie Crespy? I love these colours, and those sweet birds-on-a-branch cut-outs! Sophie has such an elegant way of layering just the right amount of paper, with interesting textured edges. Love her work! These colours are just the prettiest! I want them all! Colour descriptions/brands are available here from Oh My Little Dears. 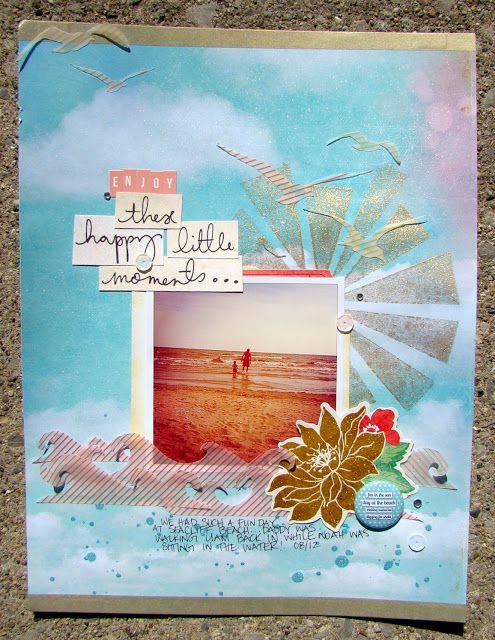 I just love the whimsical but summery/beachy/relaxing feel to this page by Danielle. I love the combo of the splashy blue watery paint, the simple cut leaf, and the tape. Made by Lemon Jitters. This page by Gillian Nelson is just too, too awesome. Whimsical, light, free. And those gold triangles? Awesome. I will never, ever tire of the amazing Tara Anderson's work, and I will probably never NOT fall in love with one of her pages. I don't know how she mixes such extraordinary colour and pattern and layers, but keeps everything so simple and refined at the same time. In awe. And, did you know she has an Etsy shop, citron faire?? How many kinds of awesome is that? 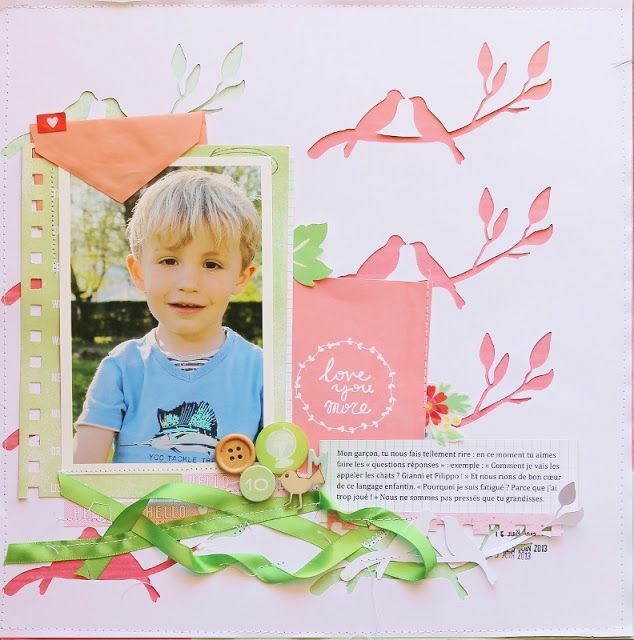 What beautiful scrapbook pages you shared and the color palette is yummy! I also love that you share other's work on your blog. It is such a great way to keep us all connected. thank you for sharing my layout here! I am glad you like it! you rock thank you! These are all very inspiring Ashley! 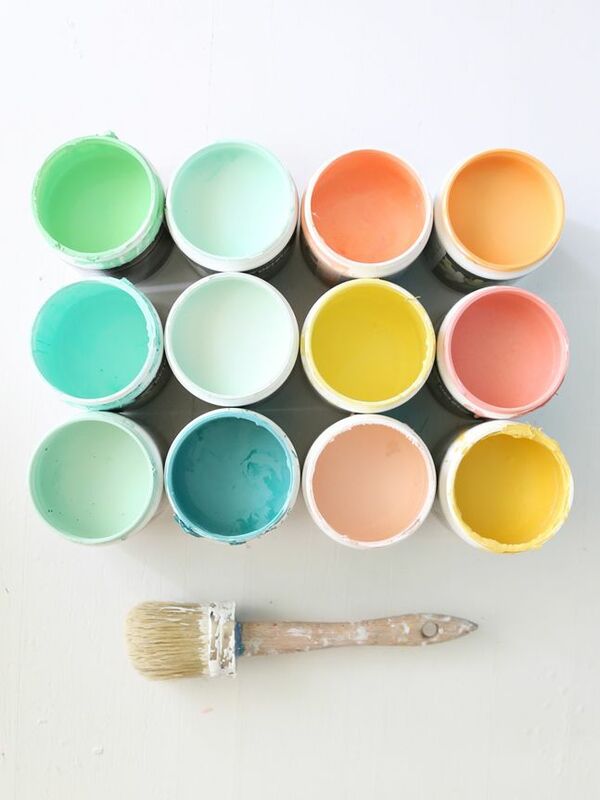 I think I feel a layout coming on inspired by the jars of paint! I feel like painting and punching out some little circles! Cool indeed!